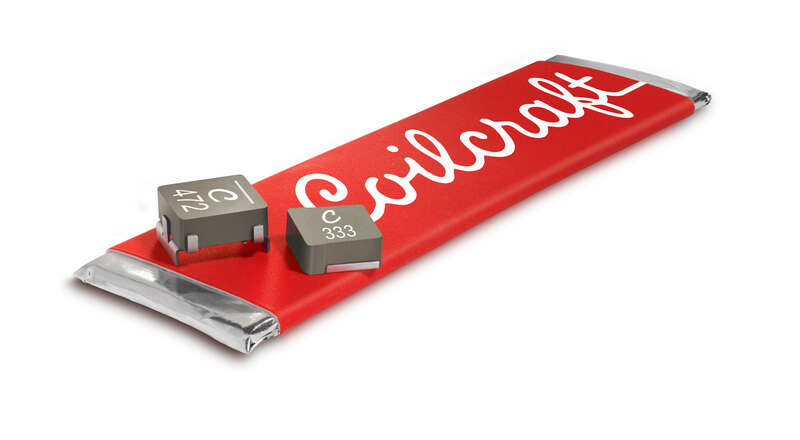 Cary, IL, USA — Coilcraft announces the introduction of two new products to its line of high current, molded power inductors, both offering unique termination options. The XTL7030 Series features side metal terminations for automated optical inspection (AOI) of the component during the solder reflow process. It offers inductance values from 10 to 47 µH – significantly higher than products currently available from other manufacturers in the same size part. It also provides excellent current handling (up to 5.3 Amps) and exceptionally low AC + DC power losses for greater efficiency. XTL7030 inductors measure just 7.1 mm square, with a maximum height of 3.2 mm. They feature RoHS compliant tin-silver over copper terminations and are halogen free. They are also qualified to AEC-Q200 Grade 1 standards (-40° to +125°C ambient), making them suitable for automotive and other harsh-environment applications. The XAR7030 Series marks the first time raised inductors are available as standard, off-the-shelf products. They measure 8.5 mm square, with terminals that elevate the inductor body 1.5 mm from the printed circuit board surface. The unique off-the-board construction allows standard power management IC packages (e.g., QFN/VQFN) to be mounted beneath the inductor in a 3-D packaging arrangement, reducing overall board space. The XAR7030 is available with inductance values ranging from 0.16 to 10 µH. It also offers extremely low DCR – as low as 1.26 mOhms. It features RoHS compliant matte tin over nickel over phos bronze terminations and is also halogen free. Contact Coilcraft to discuss raised inductors in other sizes. The composite construction of both products results in soft saturation characteristics, allowing them to withstand high current spikes. They exhibit no thermal aging issues, and their construction also minimizes audible buzzing. Like all Coilcraft products, complete technical specifications and free evaluation samples of the XTL7030 and XAR7030 Series are available online at www.coilcraft.com. Parts are available from stock and can be purchased direct at buy.coilcraft.com or by calling a local Coilcraft sales office.